This site might have been linked here before, but Doc's awesome comics threads made me want to share this with you all anyway. The commentary nearly made me pee my pants a few times, so be careful if you're at work! Also has a bit of cussin'. 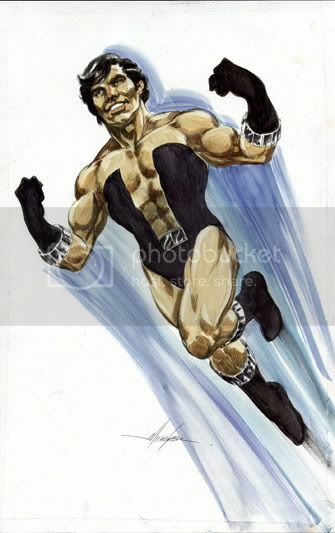 Old school Cosmic Boy for the win! 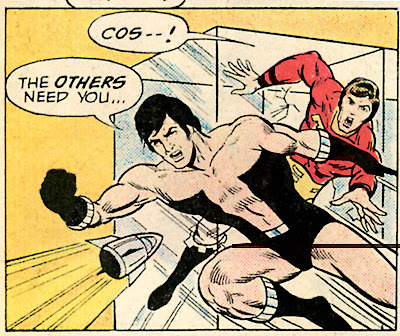 Cosmic Boy's horrific fashion sense is legendary, even by superhero standards. 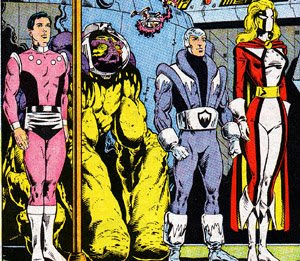 Can you believe that this guy has been the elected leader of the Legion of Super-Heroes for most of its run? It's only relatively recently that Rokk Krinn's attire has achieved any measure of dignity.